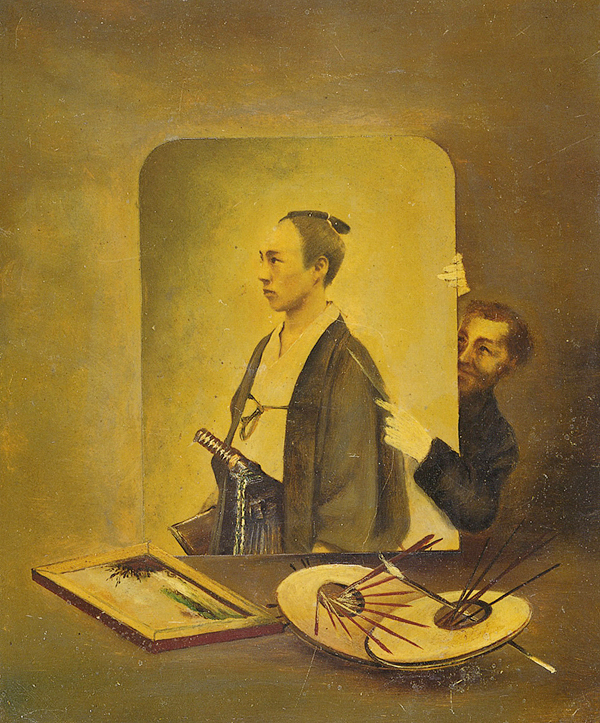 Yokoyama Matsusaburo (1838-1884), A Man with topknot and a foreigner, n.d., collage, photographic image, oil painting. Shōzō, ‘semblance image’, is the contemporary Japanese term for two-dimensional pictorial representations of an individual. It rose to dominance just over a century ago, superseding a host of rival expressions, each of which carried a socially distinctive meaning. As this terminological fluidity implies, the production and consumption of photographic portraits were necessary part of a larger process of consolidating the broader genre of the ‘portrait’ within Meiji visual culture. 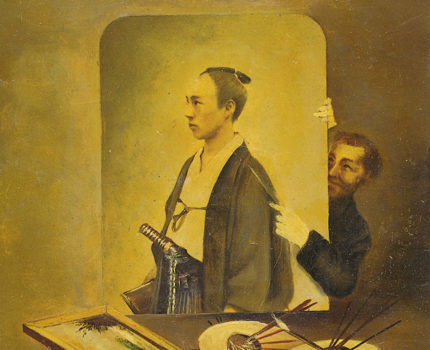 This talk introduces a range of styles and uses of ‘portraits’ from early Meiji Japan, and addresses what and how fluid and contested ideas of portraiture contributed to the formation of a genre. Maki Fukuoka, Ph.D. (Chicago) is a lecturer of East Asian Art at the University of Leeds, and is a former Robert and Lisa Sainsbury Fellow (2008-2009). She is the author of The Premise of Fidelity: Science, Visuality, and Representing the Real in Nineteenth-century Japan (Stanford University Press, 2012), “Selling Portrait Photographs: Early Photographic Business in Asakusa, Japan” (History of Photography, 2011), and “Toward a Synthesized History of Photography: A Conceptual Genealogy of Shashin” (positions: east asia cultures critique, 2010). She is currently working on a project tentatively titled Shaping Likeness, which explores the intersection between the concept of portraiture and political roles and social uses of portraiture in Meiji.